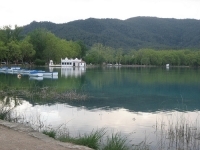 The allure of the Costa Brava is the combination of crowded, manicured resorts, and rugged unspoilt coastline, offering tourists the best of both worlds: great amenities and luxury, as well as natural beauty. There are a number of Blue Flag beaches along the Costa Brava, and also some secluded, rocky coves. The glorious beaches, in combination with the renowned food and restaurant scene makes the Costa Brava ideal for resort holidays, and the most popular destinations include Roses, Lloret de Mar and Blanes. 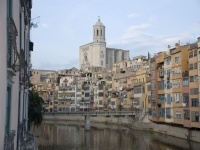 Tossa de Mar, a smaller, more authentic coastal resort village, is also a delight, and the bigger centres of Girona and Banyoles offer many attractions. There are some wonderful coastal walks and numerous golf courses to enjoy in Costa Brava, as well as many fun water sports. There is also some quality cultural and historical sightseeing for those interested, including some impressive Roman and Iberian archaeological sites. The famous archaeological site of Empuries, a Greco-Roman site with extensive ruins, is the highlight for many visitors, and the nearby medieval village of Sant Marti d'Empuries is also lovely to explore. 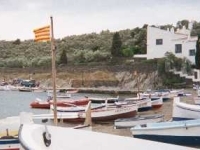 Costa Brava is Dali country and there are three museums to visit for fans of the artist, including the fascinating Salvador Dali Museum House near Cadaques.